The Case of Charles Dexter Ward is a short epistolary novel, written in early 1927, but not published during the author's lifetime. 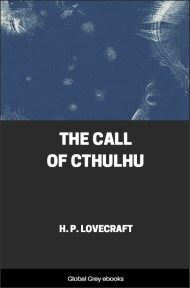 Set in Lovecraft's hometown of Providence, Rhode Island, it was first published (in abridged form) in the May and July issues of Weird Tales in 1941. 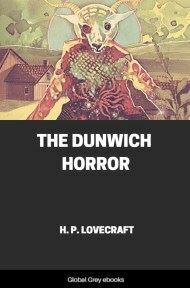 The novel, set in 1918, describes how Charles Dexter Ward becomes obsessed with his distant ancestor, Joseph Curwen, an alleged wizard with unsavory habits. Ward physically resembles Curwen, and attempts to duplicate his ancestor's Qabalistic and alchemical feats. He eventually uses this knowledge to physically resurrect Curwen. Ward's doctor, Marinus Bicknell Willett, investigates Ward's activities and is horrified by what he finds. From a private hospital for the insane near Providence, Rhode Island, there recently disappeared an exceedingly singular person. 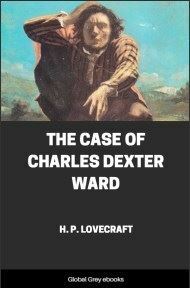 He bore the name of Charles Dexter Ward, and was placed under restraint most reluctantly by the grieving father who had watched his aberration grow from a mere eccentricity to a dark mania involving both a possibility of murderous tendencies and a profound and peculiar change in the apparent contents of his mind. Doctors confess themselves quite baffled by his case, since it presented oddities of a general physiological as well as psychological character. In the first place, the patient seemed oddly older than his twenty-six years would warrant. Mental disturbance, it is true, will age one rapidly; but the face of this young man had taken on a subtle cast which only the very aged normally acquire. In the second place, his organic processes showed a certain queerness of proportion which nothing in medical experience can parallel. Respiration and heart action had a baffling lack of symmetry; the voice was lost, so that no sounds above a whisper were possible; digestion was incredibly prolonged and minimized, and neural reactions to standard stimuli bore no relation at all to anything heretofore recorded, either normal or pathological. The skin had a morbid chill and dryness, and the cellular structure of the tissue seemed exaggeratedly coarse and loosely knit. Even a large olive birthmark on the right hip had disappeared, whilst there had formed on the chest a very peculiar mole or blackish spot of which no trace existed before. In general, all physicians agree that in Ward the processes of metabolism had become retarded to a degree beyond precedent. Psychologically, too, Charles Ward was unique. 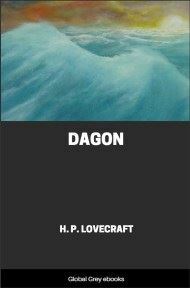 His madness held no affinity to any sort recorded in even the latest and most exhaustive of treatises, and was conjoined to a mental force which would have made him a genius or a leader had it not been twisted into strange and grotesque forms. Dr. Willett, who was Ward's family physician, affirms that the patient's gross mental capacity, as gauged by his response to matters outside the sphere of his insanity, had actually increased since the seizure. Ward, it is true, was always a scholar and an antiquarian; but even his most brilliant early work did not show the prodigious grasp and insight displayed during his last examinations by the alienists. It was, indeed, a difficult matter to obtain a legal commitment to the hospital, so powerful and lucid did the youth's mind seem; and only on the evidence of others, and on the strength of many abnormal gaps in his stock of information as distinguished from his intelligence, was he finally placed in confinement. To the very moment of his vanishment he was an omnivorous reader and as great a conversationalist as his poor voice permitted; and shrewd observers, failing to foresee his escape, freely predicted that he would not be long in gaining his discharge from custody. Only Dr. Willett, who brought Charles Ward into the world and had watched his growth of body and mind ever since, seemed frightened at the thought of his future freedom. He had had a terrible experience and had made a terrible discovery which he dared not reveal to his skeptical colleagues. Willett, indeed, presents a minor mystery all his own in his connection with the case. He was the last to see the patient before his flight, and emerged from that final conversation in a state of mixed horror and relief which several recalled when Ward's escape became known three hours later. That escape itself is one of the unsolved wonders of Dr. Waite's hospital. A window open above a sheer drop of sixty feet could hardly explain it, yet after that talk with Willett the youth was undeniably gone. Willett himself has no public explanations to offer, though he seems strangely easier in mind than before the escape. Many, indeed, feel that he would like to say more if he thought any considerable number would believe him. He had found Ward in his room, but shortly after his departure the attendants knocked in vain. When they opened the door the patient was not there, and all they found was the open window with a chill April breeze blowing in a cloud of fine bluish-grey dust that almost choked them. True, the dogs howled some time before; but that was while Willett was still present, and they had caught nothing and shown no disturbance later on. Ward's father was told at once over the telephone, but he seemed more saddened than surprised. By the time Dr. Waite called in person, Dr. Willett had been talking with him, and both disavowed any knowledge or complicity in the escape. Only from certain closely confidential friends of Willett and the senior Ward have any clues been gained, and even these are too wildly fantastic for general credence. 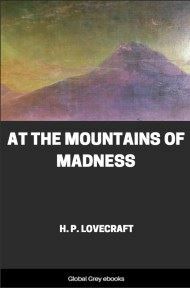 The one fact which remains is that up to the present time no trace of the missing madman has been unearthed. Charles Ward was an antiquarian from infancy, no doubt gaining his taste from the venerable town around him, and from the relics of the past which filled every corner of his parents' old mansion in Prospect Street on the crest of the hill. 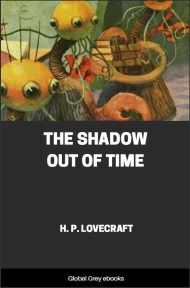 With the years his devotion to ancient things increased; so that history, genealogy, and the study of colonial architecture, furniture, and craftsmanship at length crowded everything else from his sphere of interests. These tastes are important to remember in considering his madness; for although they do not form its absolute nucleus, they play a prominent part in its superficial form. The gaps of information which the alienists noticed were all related to modern matters, and were invariably offset by a correspondingly excessive though outwardly concealed knowledge of bygone matters as brought out by adroit questioning; so that one would have fancied the patient literally transferred to a former age through some obscure sort of auto-hypnosis. The odd thing was that Ward seemed no longer interested in the antiquities he knew so well. 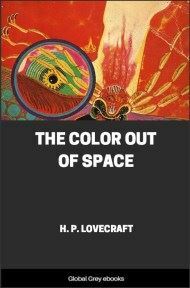 He had, it appears, lost his regard for them through sheer familiarity; and all his final efforts were obviously bent toward mastering those common facts of the modern world which had been so totally and unmistakably expunged from his brain.